The Comprehensive Ophthalmology Clinic provides routine eye examinations, including evaluation and treatment of cataracts, and screening and management for patients with diabetes or glaucoma. Many other conditions that affect vision and ocular health are treated by comprehensive ophthalmology. 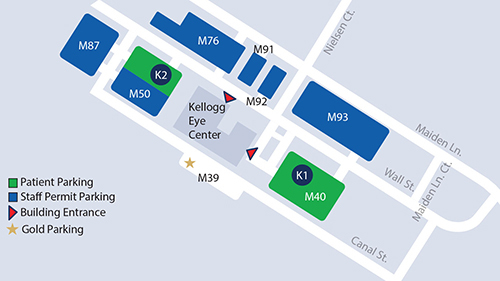 Patients who may require subspecialty ophthalmology care or other services provided by the Kellogg Eye Center often are referred after evaluation in this clinic.